Industry disruption — “a process whereby a smaller company with fewer resources is able to successfully challenge established incumbent businesses” — is reasonably predictable. 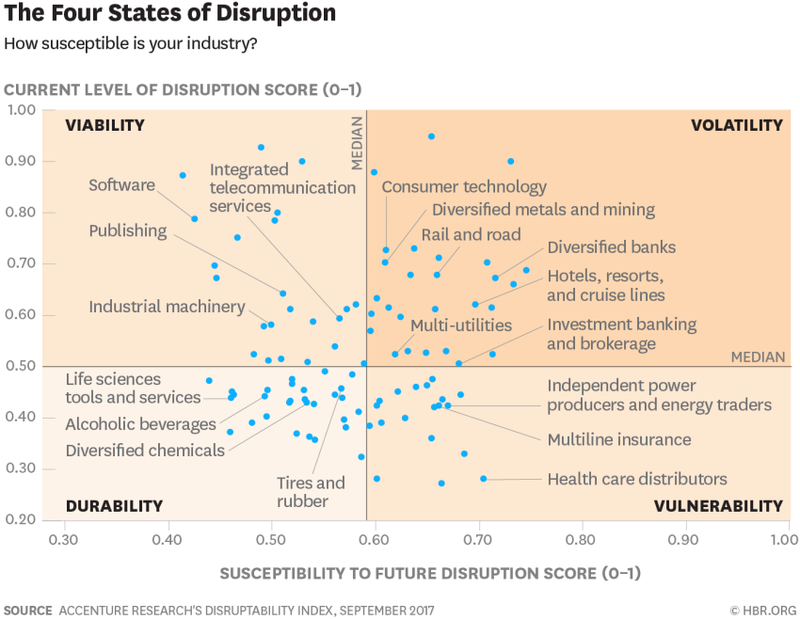 Accenture Research develops an index that measures an industry’s current level of disruption as well as its susceptibility to future disruption. See Harvard Business Review article.